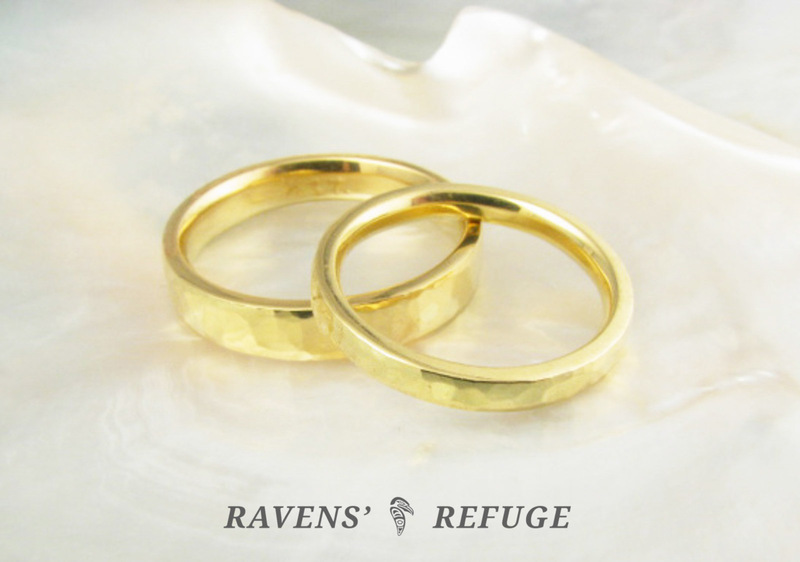 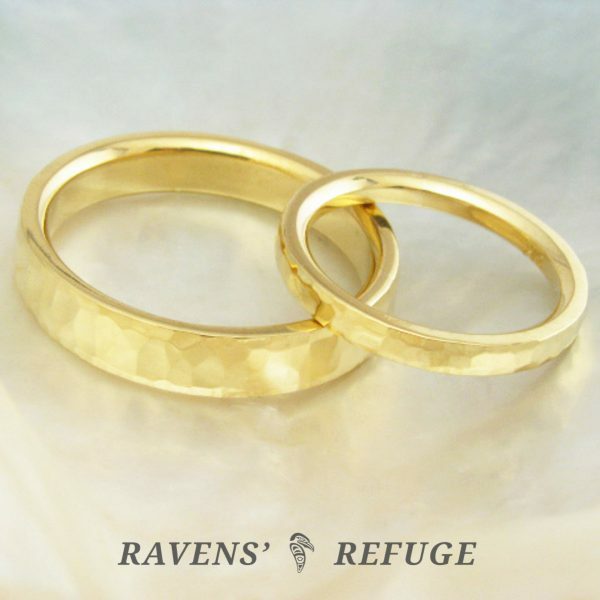 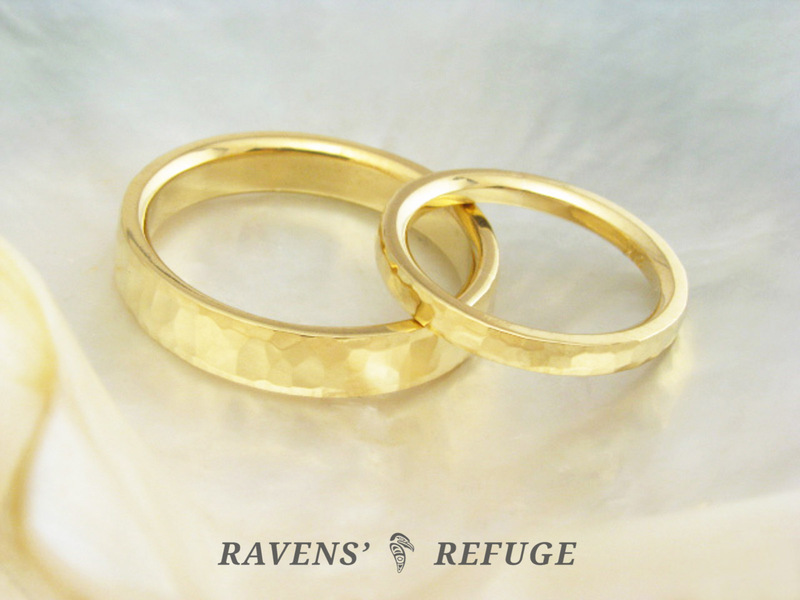 Crafted of 21k gold, these hand forged wedding rings are more durable than 22k or 24k gold, but still retain the beautiful rich yellow glow of the higher karats. 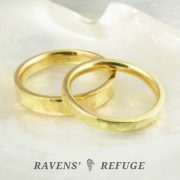 Dan likes to work in 21k gold because the color is nearly the same as that of 22k gold, but 21k gold “takes a polish better,” as he says. 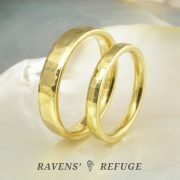 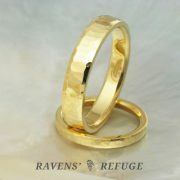 These matching bands will hand-rolled from a single ingot of 21k yellow gold that Dan has alloyed and poured himself. 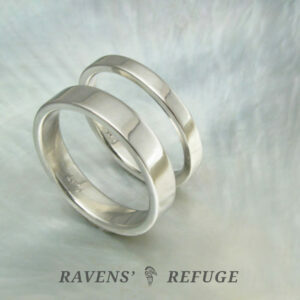 And because the metal is cold worked, hand forged bands like this one are denser and stronger than bands that are cast. 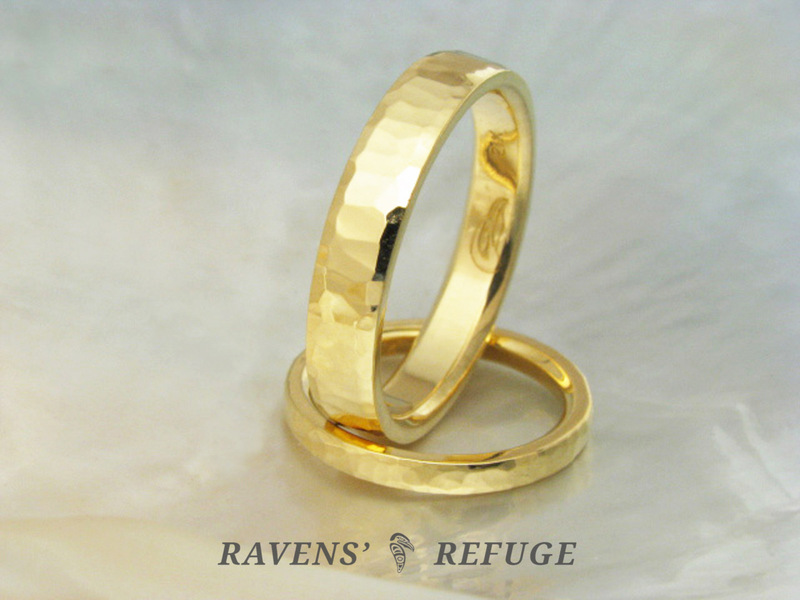 The larger band pictured is crafted from hand-milled stock that is 4mm wide and 2mm thick; the smaller band, from hand-milled stock that is 2mm wide and 2mm thick. 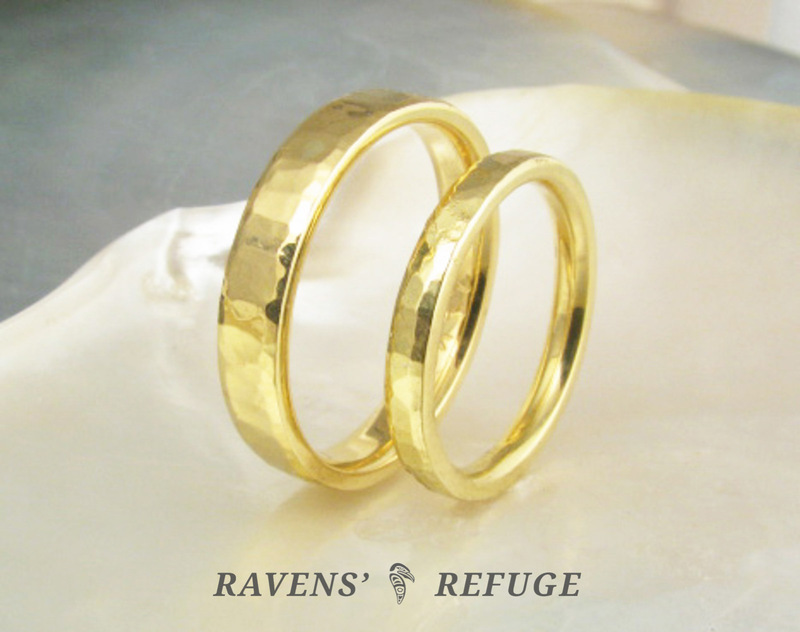 These bands are hammered in our “waterfall” style, the effect of which tends toward a ripple of light rather than the multi-directional scatter of light created by hammering in typical bands. 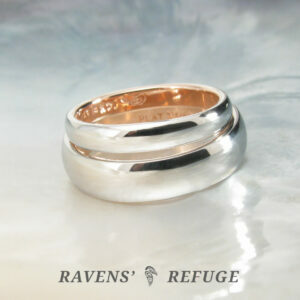 The textured bevel creates sparkle in other directions for added dimension.